The Paperfection sisters were together again, this time in Spain! We got some new stuff done for the shop and a custom remembrance garland (more on this in a later post). 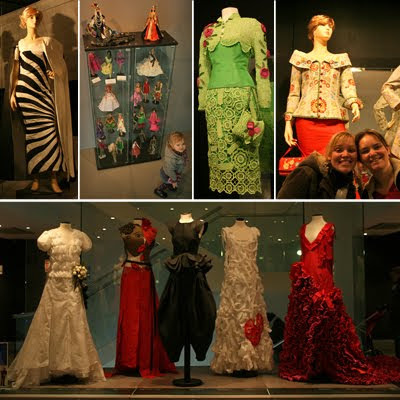 On top of this, we paid a visit to the paper dress museum: Museu de Vestits de Paper in Mollerussa. We were blown away! The things some people can do with paper! 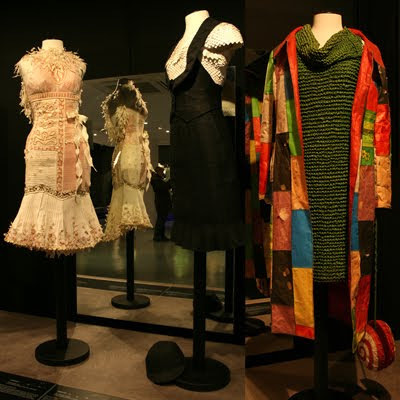 These stunning dresses were made for an annual competition and were paraded on the catwalk. Now they're on display for all to see and you just wouldn't believe they consist entirely of paper! The rules are quite strict: nothing but paper, metallic or laminated papers are excluded. No glue is allowed whatsoever; the garments must be sewn, either by hand or on a machine. 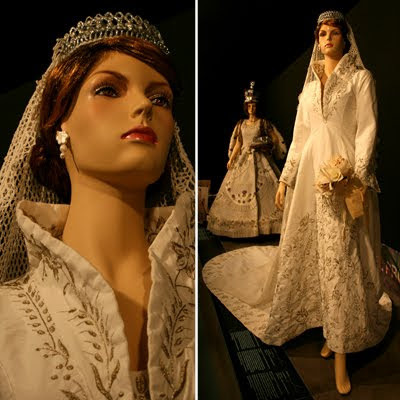 A particularly spectacular piece was a replica of Princess Laeticia's wedding dress. The front and the four meter train were embroidered with gold and silver thread and depict fleur-de-lis, wheat, clover and strawberry. Even the veil is made of nothing but paper: thousands of meters of thin strips of crepe paper were rolled into thread and then crocheted. The tiara and jewellery are made of... paper too! And, yes, that's Queen Elizabeth II's coronation gown in the background. My oh my, this is what I call paperfection..! wow ! I want to go to that museum too ! It's stunning that this all is from paper ! Wonderful works! Thank you so much for sharing! My mouth is hanging open in awe...stunning! Wow... this is truly amazing, such things out of paper!?!? And now glue...? Amazing! WAW! 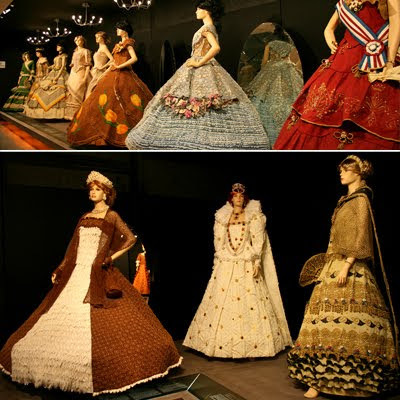 Amazing, all this great costumes are made with paper? ohh fantastic! oh! that must have been so exciting for you! nice to meet you fellow anthropologist! wow, that's amazing! truly! thanks for sharing this!